Berhampur University, Bhanja Bihar Berhampur, Ganjam, Odisha, India. Department of Biotechnology Lovely Professional University, India. Diabetes is a multi-symptomatic, multifactorial systemic disorder, the pathophysiological implications of which are multidimensional in nature. In simple terms, diabetes refers to the physiological outcomes of insufficient secretion of insulin, defective functioning of the secreted insulin or both (American Diabetes Association, 2014) . Such inefficient functioning of insulin leads to increased retention levels of glucose (sugar) in the blood serum. The energy gap caused due to insufficient breakdown of glucose molecules and the physiological discrepancies caused due to circulation of sugary blood (high sugar concentration) cause a myriad of bodily changes that are together referred to as diabetes. • Rare forms of diabetes caused due to etiological factors distinct from that of the above mentioned ones. E.g., monogenic diabetes (includes neonatal diabetes and maturity-onset diabetes of the young [MODY]) as well as diabetes induced due to specific drugs or hormonal changes. The type-1 and type-2 diabetes are the most common forms of diabetes occurring in adults. As far as their etiological basis is concerned, it has already been illustrated that they are polygenic in nature [3,4]. In other words, the occurrence of type-1/type-2 diabetes is mostly attributed to genetic mutations in more than one gene, usually the ones involved in glucose metabolism. In addition to their genetic basis, other factors such as obesity, physical activity levels and environmental factors are also known to have contributory effects towards their occurrence . On the other hand, monogenic diabetes is caused due to the presence of mutated copy of a single gene. They are extremely rare in occurrence and account for only 1 to 5 percent of the total number of cases of diabetes . It is important to note that, diabetes in all its forms is characterized by hyperglycemia. Though it primarily signifies underlying physiological discrepancies in the functioning of glucose metabolic pathways, it does not provide any information regarding the etiological basis of the same. This means that basic methods of biochemical testing are inadequate to identify the nature and exact etiological basis of the disease. In depth investigation of the genetic factors as well as of the simultaneous presence of hormonal fluctuations or drugs are crucial to pin-point the type of diabetes, so that an appropriate treatment and management regimen can be determined. Furthermore, it is natural to presume that since the pathophysiological manifestation of the disease is similar (irrespective of its etiological basis), then the administered modes of treatment are also alike. However, in reality that is not at all correct. How and why this occurs is discussed (with special reference to monogenic diabetes) in the subsequent sections of this article. Due to these recent revelations, it is suggested that genetic testing should be included as a routine diagnostic methodology. Doing so can help in identification of the causative genetic mutations and differentiate monogenic diabetes . The importance of doing so can be understood from the fact that corrective replacement or augmentation of the function of the mutated gene can cure this monogenic diabetes and altogether eliminate the need of administration of insulin based drugs. Furthermore, monogenic diabetes is mostly hereditary in nature. It is thus suggested that identification of the mutation in the parents can help in fast and effective diagnosis and prognosis of the disease in the offspring. Most of the mutations that result in monogenic diabetes are known to impact either the patients’ ability to produce insulin or use it for the breakdown of glucose. Extant medical literature classify monogenic diabetes in two major categories, namely Neonatal diabetes mellitus (NDM) and maturity-onset diabetes of the young (MODY). As the name indicates, NDM refers to the occurrence of diabetes in neonates (younger than 6 months). On the basis of the nature of clinical presentation of NDM, it is further divided into two subgroups: transient (T) NDM and permanent (P) NDM. While TNDM is known to develop few weeks after the birth of the child and resolve within few months (though relapse may occur during adolescence), PNDM initiates in the first few months after the birth of the child and persists for the entire lifespan . Transient NDM is mostly implicated to the mutations that are responsible for bringing about imprinting defects of chromosome 6q24. Genomic imprinting refers to the molecular mechanisms that inflict parent based regulation of expression of an allele. This usually occurs due to epigenetic silencing of an allele via methylation and histone modification. This means that the said gene relies on monoallelic phenotypic expression. As far as mutations in the chromosome 6q24 imprinted region are concerned; expression of the paternally inherited 6q24 region and silencing of the maternally inherited allele occurs in healthy babies. Conversely, if the maternally inherited allele gets activated mostly due to hypomethylation of the maternal differentially methylated region (DMR), TNDM occurs . PNDM is the outcome of occurrence of mutation in the genes that are responsible for pancreatic development and functioning of the β-cells. Studies indicate that presence of mutated copies of KCNJ11 and ABCC8 genes which are responsible for encoding Kir6.2 and SUR1 subunits of the ATP sensitive potassium channel, which in turn is responsible for the optimal release of insulin by the β-cells, cause the occurrence of permanent neonatal diabetes mellitus (PNDM). In addition to the above mentioned genes, mutations in PTF-1α, EIF-2AK3, IPF-1 (Pdx-1), Glucokinase, FOXP3 and GLIS3 are also associated with the occurrence of PNDM . NDM is considered an optimal model for the study and application of personalized medicines for the specific and effective treatment of NDM children without causing any unintended secondary complications. The role of this contemporary approach of treatment especially becomes ever so important in NDM patients (both PNDM and TNDM) who developed the disease due to mutations in the ABCC8/KCNJ11 gene. Since mutations in any of the two specified genes are known to distort the functioning of the ATP-sensitive potassium (KATP) channel that controls of insulin release, it was suggested that administration of oral sulfonylureas can help in treating the condition without the need of administration of insulin. Oral sulfonylureas are known to block the KATP channels and regulate the release of insulin, thereby treating hyperglycemia [11,12]. It is worthwhile to consider that presence of overlapping symptoms of the different types of diabetes often leads to misdiagnosis of the MODY as type-1 diabetes. Considering all these factors, it is evident that genetic testing or molecular analysis of the factors associated with the manifestation of the disease is imperative to correctly identify and classify the type of diabetes. In order to do that, it is crucial that the genetic mutations associated with the occurrence of this specific type of diabetes are identified beforehand . Furthermore, MODY is a genetically heterogenic group of disorders, the manifestation of which is based on the gene which is mutated in the patient. It is crucial to consider these heterogenic features while making a diagnosis because they have deep impact on the metabolic and symptomatic manifestation of the disease . The various genetic mutations and the type of MODY they cause are listed in Table 1. Table 1: List of the genetic mutations and the type of MODY caused due to it [16-18]. Though the above table represents 13 different types of MODY and it is speculated that there are many more types the genetic mutation behind which are yet to be identified. Due to the established prevalence of the MODY1, MODY2 and MODY3, the article will focus on their treatment through personalized medicine and . Personalized medicine for diabetes (PMFD) encompasses the application of the knowledge of genetic basis of the disease in a diabetic person so as to customize the prospective methods of diagnosis, prognosis and treatment of the same [16-19]. The concept of personalized medicine relies on the fact that the therapeutic efficacy of a treatment regimen depends on its interaction with a plethora of biomolecules. Since the physiological state of being of no two patients is alike, it is obvious to assume that the level and outcome of such interactions are also different. This can be clearly understood from the example of MODY. Even though a patient is identified to be suffering from MODY, the specific causative genetic mutations that bring about the manifestation of the disease may be different. It is thus necessary to identify the sub category of the MODY that the patient belongs to so that a specific treatment regimen can be identified and administered so as to achieve better therapeutic outcomes. Since the advent of methods and techniques that enable the study and identification of specific type of MODY that the patient is suffering from, it is evident that the concept of application of personalized medicine in such cases is also recent . MODY3, one of the most common types of MODY, is caused due to the presence of a mutated copy of the HNF1A gene. The gene is responsible for the expression of the transcription factor hepatic nuclear factor 1-α (HNF1-α) which in turn is responsible for the expression of multiple genes associated with glucose metabolic pathways and secretion of insulin hormone. Interestingly, MODY1 (another variant of the disease) is caused due to the presence of mutated hepatic nuclear factor 4-α (HNF4-α) gene. It is important to note that amino acid sequence of HNF1-α bears 55% similarity with that of HNF4-α which is mutated in MODY1 . The importance of genetic testing and diagnosis of MODY1 or MODY3 as well as administration of personalized medicines in such patients can be understood from the fact that such patients are hypersensitive to sulfonylureas, which is probably the most common oral hypoglycemic drug. The hypersensitivity of such patients towards the drug is attributed to the fact MODY1 and MODY3 are caused due to mutation in the HNF1-α and HNF4-α genes. These mutations cause decrease in the levels of expression of the corresponding proteins i.e. HNF1-α and HNF4-α in the liver. The decreased levels of expression cause decreased uptake of sulfonylureas due to which the amount of drug circulating in the blood becomes significantly higher than the amount of drug actually absorbed by the body. In order to avoid the unintended hypersensitive reactions against the drug, it is recommended that MODY1 and MODY3 patients are administered low doses of sulfonylurea (around one-tenth of the standardized dosage) . On the other hand, MODY2 which is caused due to mutation in the glucokinase (hexokinase 4) (GCK) gene, is known to decrease the affinity of the above mentioned enzyme to bind with glucose. As a result, the process of monitoring of blood glucose levels by the pancreatic β-cells and secreting insulin as and when required is compromised. Hence, MODY2 patients’ present non-progressive mild hyperglycemia . It has been observed that most cases of MODY1 don’t require the administration of oral hypoglycemic agents. Furthermore, even if they are administered they are not found to exert significant impact on the condition of the patient. However, recent reports on long term studies on MODY1 patients indicated that persistent mild hyperglycemia may induce insulin resistance and/or gestational diabetes mellitus in future [23,24]. It is thus highly important to access the presence/absence of GCK mutation in expecting mothers and the fetus (carrier status) so as to design and recommend ideal glycemic control measures during the gestation period. If not done so, maternal GCK mutations cause increase in the birth weight of the fetus, while, fetal GCK mutations causes reduced birth weight, both of which may are not recommended for the sustained health performance of the mother and the child . It is hence recommended that the increased application of the principle of pharmacogenomics and genetic testing for the type and etiology of diabetes will help in the development and application of suitable personalized medicine treatment approaches. American Diabetes Association (2014) Diagnosis and classification of diabetes mellitus. Diabetes care, 37: 81-90. American Diabetes Association (2015) Classification and diagnosis of diabetes. Diabetes Care 38: 8-16. Mehers KL, Gillespie KM (2008) The genetic basis for type 1 diabetes. Br Med Bull 88: 115-129. Kato N (2013) Insights into the genetic basis of type 2 diabetes. J Diabetes Invest 4: 233-244. Hill JO, Peters JC (1998) Environmental contributions to the obesity epidemic. Science 280: 1371-1374. Steck AK, Winter WE (2011) Review on monogenic diabetes. 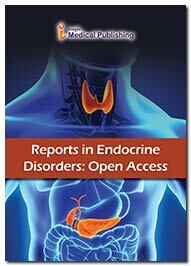 Curr Opin Endocrinol Diabetes Obes 18: 252-258. Grant RW, Hivert M, Pandiscio JC, Florez JC, Nathan DM, et al. (2009) The clinical application of genetic testing in type 2 diabetes: a patient and physician survey. Diabetologia 52: 2299-2305. Naylor RN, Greeley SA, Bell GI, Philipson LH (2011) Genetics and pathophysiology of neonatal diabetes mellitus. J Diabetes Investig 2: 158-169. Temple IK, Mackay DJ, Docherty LE (2015) Diabetes mellitus 6q24-related transient neonatal. Eur J Hum Genet 22: 1-4. Hattersley AT (2005) Molecular genetics goes to the diabetes clinic. Clin Med 5: 476-481. Sagen JV, Raeder H, Hathout E, Shehadeh N, Gudmundsson K, et al. (2004) Permanent neonatal diabetes due to mutations in KCNJ11 encoding Kir6.2: patient characteristics and initial response to sulfonylurea therapy. Diabetes 53: 2713-2718. Mak CM, Lee CY, Lam CW, Siu WK, Hung VC, et al. (2012). Personalized medicine switching from insulin to sulfonylurea in permanent neonatal diabetes mellitus dictated by a novel activating ABCC8 mutation. Diagn Mol Pathol 21: 56-59. Nair VV, Chapla A, Arulappan N, Thomas N (2013) Molecular diagnosis of maturity onset diabetes of the young in India. Indian J Endocrinol Metab 17: 430-441. Anik A, Çatli G, Abaci A, Böber E (2015) Maturity-onset diabetes of the young (MODY): an update. J Pediatr Endocrinol Metab 28: 251-263. Vaxillaire M, Froguel P (2008) Monogenic diabetes in the young, pharmacogenetics and relevance to multifactorial forms of type 2 diabetes. Endocr Rev 29: 254-264. Fajans SS, Bell GI (2011) MODY: History, genetics, pathophysiology, and clinical decision making. Diabetes Care 34: 1878-1884. Gardner DS, Tai ES (2012) Clinical features and treatment of maturity onset diabetes of the young (MODY). Diabetes Metab Syndr Obes 5: 101-108. Kim SH (2015) Maturity-Onset Diabetes of the Young: What Do Clinicians Need to Know? Diabetes Metab J 39: 468-477. Karuna SP, Haritha YC, Venkat RY (2013) Pharmacogenomics in Diabetes Mellitus: Pathway to Personalized Medicine. Helix 1: 215-220. Goulden PA, Vengoechea J, McKelvey K (2015) Personalized Medicine: Monogenic Diabetes. J Ark Med Soc 112: 58-59. Kleinberger JW, Pollin TI (2015) Personalized medicine in diabetes mellitus: current opportunities and future prospects. Ann N Y Acad Sci 1346: 45-56. Malandrino N, Smith RJ (2011) Personalized Medicine in Diabetes. Clin Chem 57: 231-240. Clément K, Pueyo ME, Vaxillaire M, Rakotoambinina B, Thuillier F, et al. (1996) Assessment of insulin sensitivity in glucokinase-deficient subjects. Diabetologia 39: 82-90. Ellard S, Beards F, Allen LI, Shepherd M, Ballantyne E, et al. (2000) A high prevalence of glucokinase mutations in gestational diabetic subjects selected by clinical criteria. Diabetologia 43: 250-253. Shields BM, Spyer G, Slingerland AS, Knight BA, Ellard S, et al. (2008) Mutations in the glucokinase gene of the fetus result in reduced placental weight. Diabetes Care 31: 753-757.